Do you remember my BFF Amy? The star of such posts as Custom Pyrex and Dishtowels, DIY Cookie Cutter, Wedding Countdown Printable, and Spray Painted Cookies? Well, she’s my BFF. I love her. And She’s moving to South Korea. 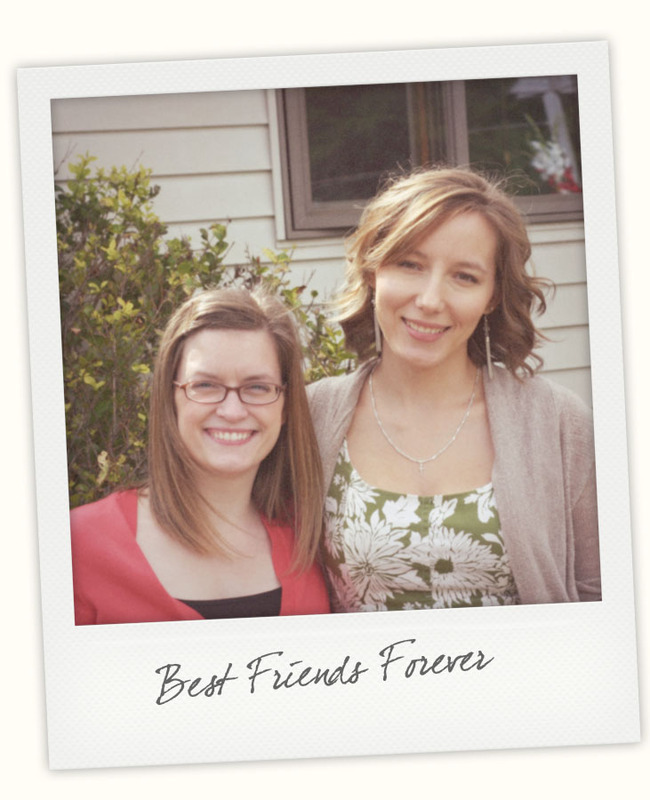 I’ve known for months, and I’m super excited for her (She’s going with her hubby to teach English there for a year!) but sad for me. Its been a crazy mix of emotions but today was one of the hardest. Today was her going away party. I made cupcakes. What is it they say? “When you’re sad- craft!” Oh, they don’t say that? Must just be me then. 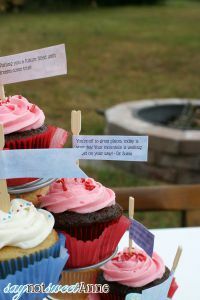 And I took my own advice, making 3 types of cupcakes for the party, and hand creating flag toppers with goodbye sayings on every one. It was sort of cathartic. Working with my hands to make pretty things, to spread joy, has always been a coping mechanism for me. I also obsessed over what to give her as a going-away present. She can’t take much to Korea, and she doesn’t wear jewelry etc. Memory books are overdone and we don’t have that many pictures together. I finally settled on this pretty Michigan shaped stone in a locket. 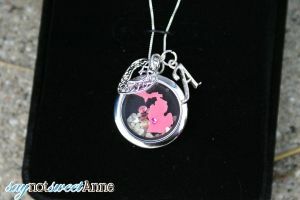 I added some pink jewels, and a pick dot where Grand Rapids is. Then I added a pretty silver “A” and the heart charm. I think she liked it. The sand is from Lake Michigan. Hopefully it’ll remind her of home. Anyway, you’re not here to listen to my woes of impending loneliness. 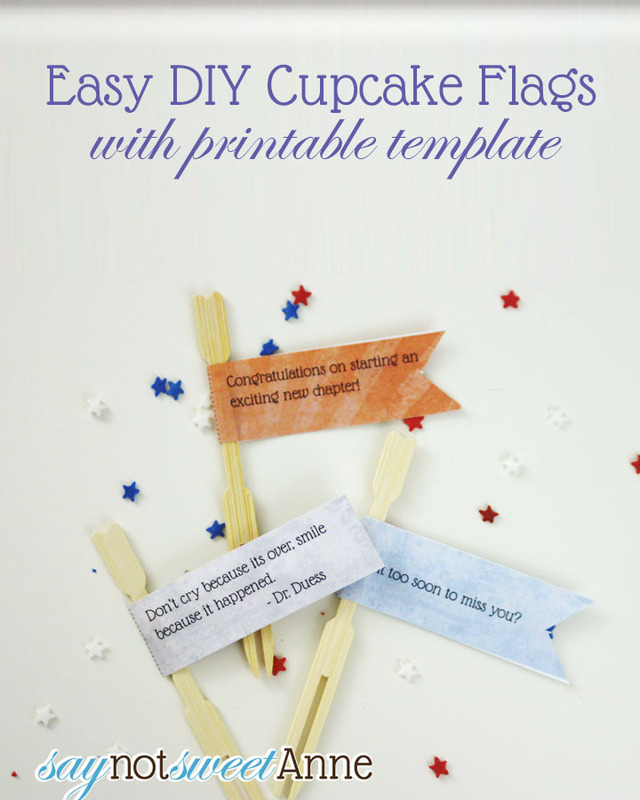 You’re here to see how to make some awesome custom cupcake flags! 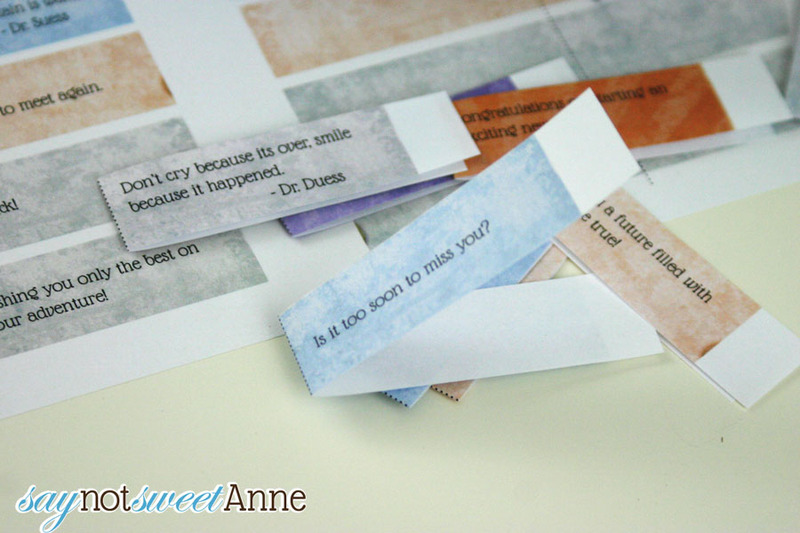 They were super easy, and I’ve developed a Word Document so that you can make them too! Now, this is the first time I’ve offered a Word Doc as a printable here. So we’re bound to have some hiccups. Let me know if it doesn’t work for you. 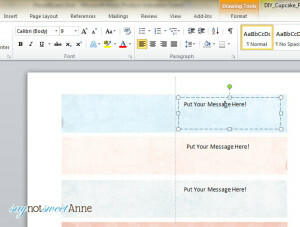 Download the Word Document. THIS ONE is red white and blue colored. 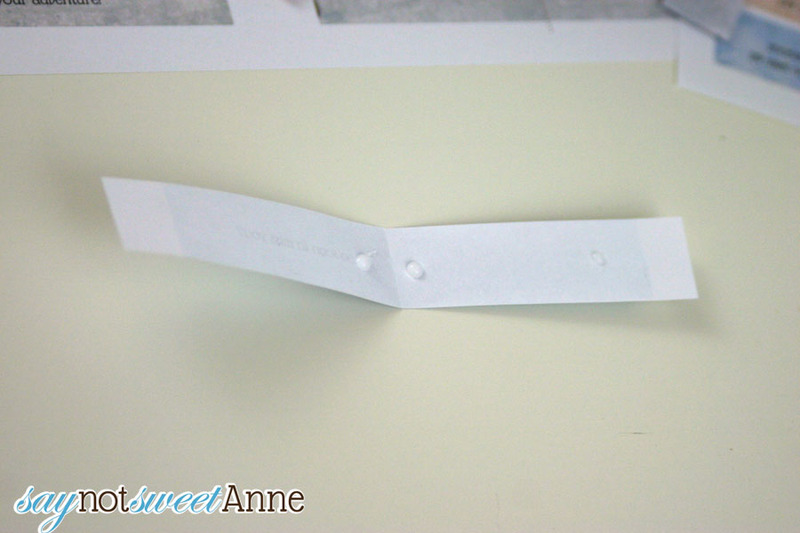 THIS ONE is blank, so you’ll have to print on colored paper. 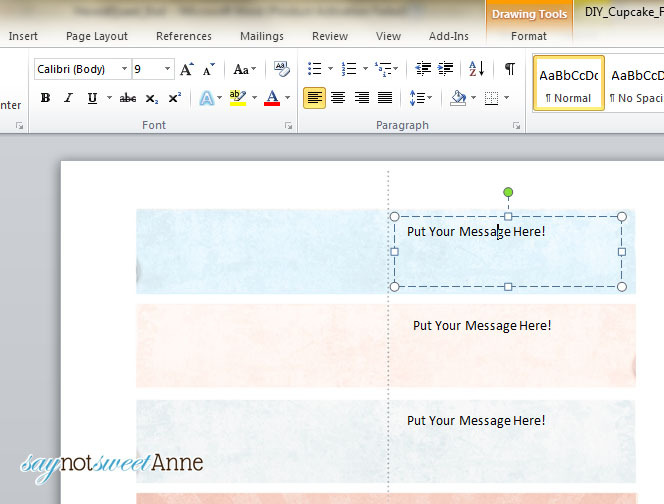 Open the document in Word, and write your sayings in the text boxes. Don’t resize the boxes, make your font smaller if it doesn’t fit. Cut out the flags on the top and bottom, but not the sides yet. Fold the flag on the dotted line and unfold. Dab some glue where the toothpick will go, and at the end of the flag. Place the toothpick and seal the glue around it. Then, trim off the end of the flag. Repeat as needed until you’ve made all your flags!! 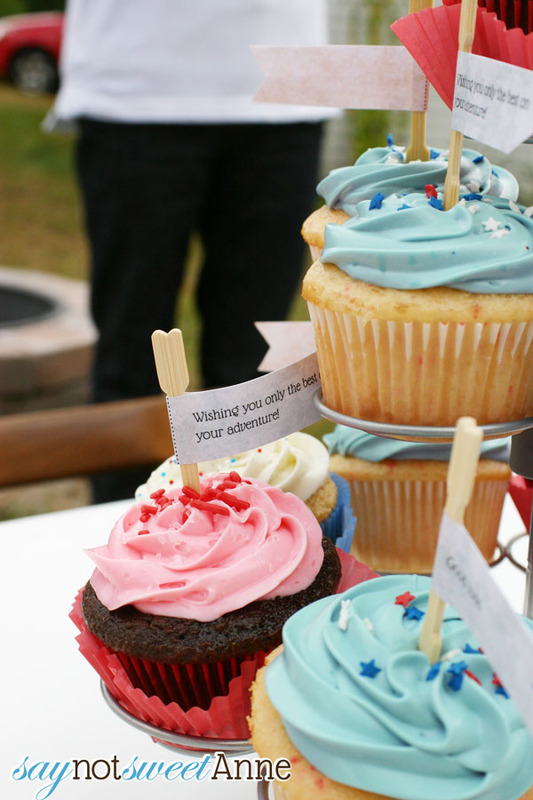 All in all I think they added some nice pop to the red white and blue themed cupcakes. Everyone loved looking through and choosing a cupcake by the saying attached. This would be a great addition to a birthday party, or a class snack. Heck, they don’t need to be printed! 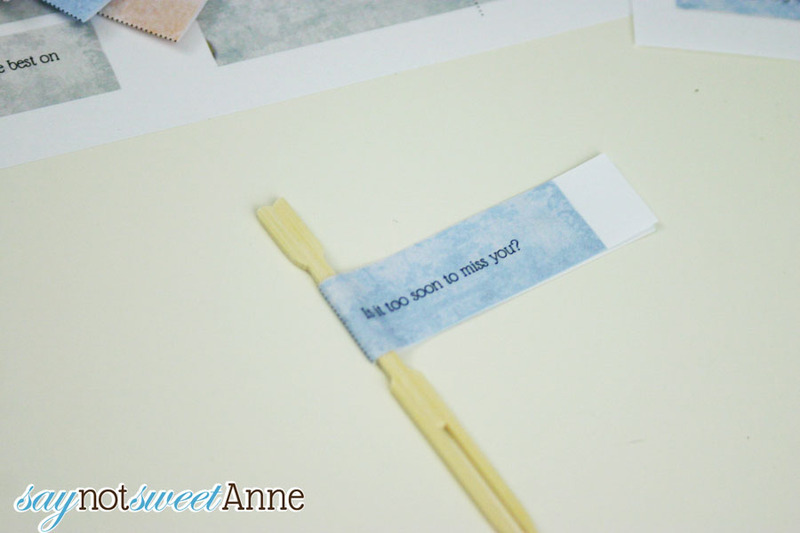 Use this same technique to make them out of pretty paper, or washi tape! Ashley recently posted..Are You Making These Fatal Pinterest Mistakes? 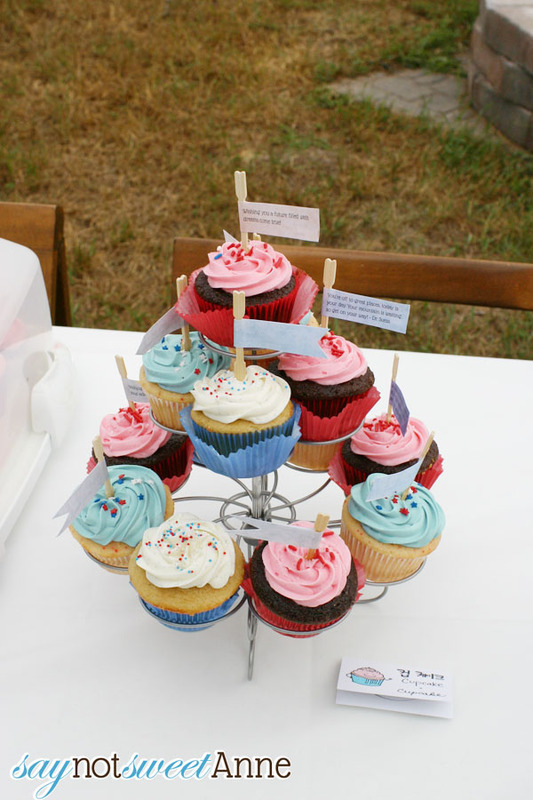 These are very cute and unique custom cupcake flag from DIY. 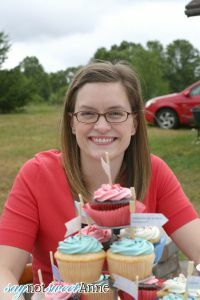 I would love to have them for my son’s birthday cupcake next month. 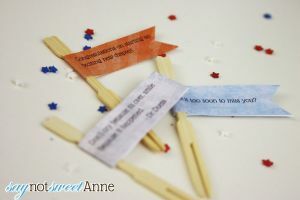 This idea is a great way of expressing thoughts and feelings. Love this. Is there any way to get the a white template where you can have writing on the front and back when you fold it over? Thanks! If there are no background colors involved, you won’t really need a template. I know – easy right? Just open your word processor and make two text boxes side by side. Fill them with your phrases and repeat down the page! Thanks for posting this download! I was in need of food flags and my grocery store was out of them. I called a restaurant supply business and oddly they only had the Mexican flag. Weird. Is Amy still in South Korea? Happy to help! Yes, she is. :C She’s having a good time, but homesick. She should be back late August! I miss my bestie! Could you please tell me where you found that Michigan charm? Thank you in advance!! The link is in the post. Enjoy! Can you tell me how to search the template directly from Word? I am not able to download it please? Great article. Thank you, Kayla, for posting.